Because Education is a Fundamental Right. CEO and President Mickey Oudit of Cosmos Air Purification & Environmental Systems Inc. has taken it upon himself give back to various communities over the years. Mr. Oudit is the co-founder of a charitable organization, “Swami Shantanand Charitable Trust” located in India. 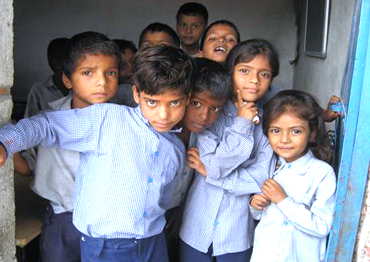 This charitable organization is geared toward providing education to India’s under privileged children. Mr. Oudit’s contributions are spread far and wide touching the hearts of many and influencing those who desperately need help. The SSC is a national level non-governmental development organization, which has dedicated itself to the interests of poor citizens by serving the underprivileged communities across India. This organization was established in July of 2007 to provide preschool education to the children of the slums of Deharun, a city in India. Since its inception, the organization has grown significantly. The Trust covers a wide spectrum of issues present in the community, including education, health and the employment of women. The SSC Trust's mission is to provide Education, Vocational Programs, Health and the Empowerment of both women and children. 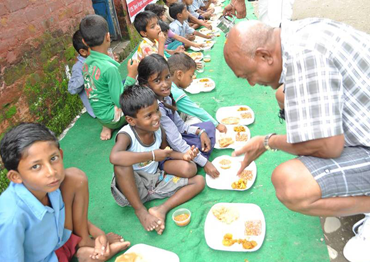 Today we reach out to hundreds of children living in both rural and urban areas through a range of interventions. If you would like to support our cause please feel free to make a donation via this site or by contacting us at shanta.nand@yahoo.com or by visiting us at www.shantanandtrust.com. Thank you for your support! There are many kinds of child labour in india. Children may take on jobs their family survive. It is also very common for children to be sold into forced labour where they are kept as slaves in terrible conditions. Children are also kept as servants in private homes, hotels, restaurants, and shops. We are runing a school of 200 childern, where we provinde them a free education, books, clothing and a mid day meal. This program is targeted at the economically disadvantaged youth in the 18-30 year age group. India has a large percentage of youth who have not been able to complete their formal education and also do not have the required vocational skills to be gainfully employed. 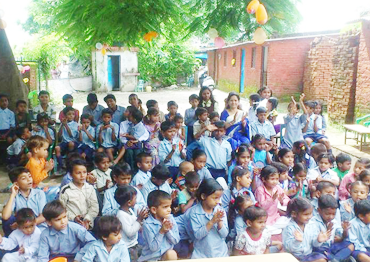 Swami Shanta Nand Charitable Trust’s mission is to ensure "Every Child in School and Learning Well" . The organization is founded on the firm belief that education is the fundamental right of every child and no child should be deprived of this basic right simply because he/she does not have access to it or does not have the resources to realize his/her dreams. We at Cosmos Air Purification & Environmental Systems Inc. are proud of our many contributions to this noble organization and the cause it supports. 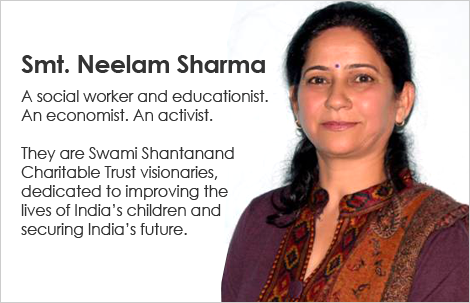 We would also like to thank you for taking the time to learn more about the Swami Shantanand Charitable Trust and if you feel like you would like to make a donation, please just click on the "Donate" button which will re-direct you to PayPal which will allow you to make a donation of your chosen amount securely. Every dollar makes a difference in the lives of those who are less fortunate. Let's make a difference in this world!